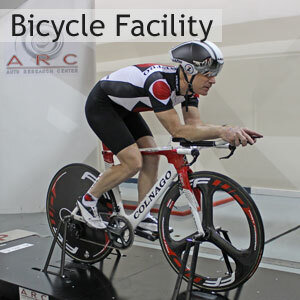 The ARC wind tunnel is one of the world leading tools used in aerodynamic development today. Our tunnel can test up to 50% scale models replicating full scale racing, production, commercial, and military vehicles to a very high level of detail. 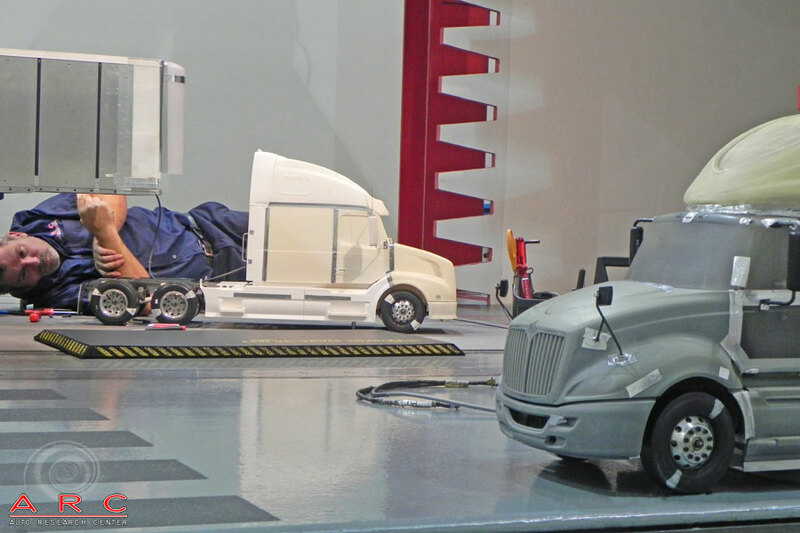 Some of the key elements which separate us from almost all other wind tunnels in the world are the use of our rolling road and integrated model motion system (automated pitch, roll, yaw, heave and front wheel steer) which allows for more realistic testing. Continually striving for the perfect testing tool, ARC is committed to evolving its wind tunnel technology to parallel the improvements in technology. The ARC Wind Tunnel is a commercially and publicly available. ARC both builds scale models for its customers and also can providing consulting services to mount models built outside of ARC's engineering design and model making services. For information on booking contact ARC today via email or by calling 317-291-8600. 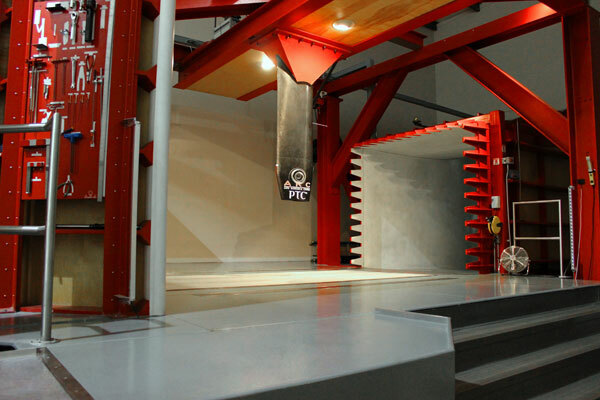 The moving ground, rolling road at the ARC wind tunnel is one of the key components that helps set the wind tunnel apart from almost all commercially available wind tunnels in the world. At the start of the road section is a suction box to ensure correct boundary layer flow along the entire road. A complex steering system keeps the road steady. The road is kept flat by a platen plate that is also chilled to ensure the air flow is realistic. The ARC Model Motion is a contained Force Measurement with Automatic motion control in pitch, roll and yaw modes. Designed in house by ARC, the model motion system is a state of the art scale model force measurement system. Accurate and repeatable aerodynamic numbers are produced by mounting the system inside of the scale model and utilizing an Aerotech 6-axis force measurement balance. The system also features an all new internal gear system to minimize backlash and provides high level accuracy of model movement. For more information on the ARC Model Motion system, visit the product page. To use or purchase contact ARC today via email or by calling 317-291-8600. ARC has invested a large amount of time in wind tunnel scale model tire technology. Three levels of tire technology is available. 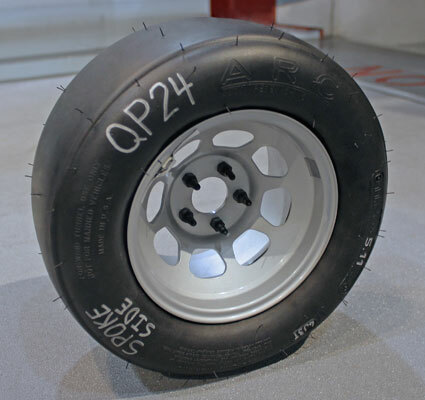 Pneumatic Tires are the ultimate in scale model tire technology, ARC is one of only two companies in the world with the knowledge base to make scale model wind tunnel pneumatic tires. These custom tires provide realistic sidewall flex for maximum real world correlation. For more on this top level technology, visit the Pneumatic Tires product page. Carbon Fiber is the customary, traditional material for scale wind tunnel testing. The ultimate tire for long term, maintenance free testing. Quick Build Tires using 3D Printing, Rapid Prototyping, technology allows for multiple tire and tread shape to be tested without long lead times and expensive costs. There is no way to get faster results on tire shapes. The average wind tunnel model at ARC contains over 300 parts. While the model looks just like the full size counterpart, they are built in a modular manner to allow large or individual sections to be changed very quickly to investigate a completely different design. This allows customers to test a larger number of development parts in a shorter time frame than with other aerodynamic testing methods. 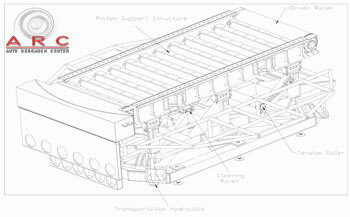 ARC Scale Model Engineering Design services is a world leader, ranging from single test models to long term multiple year programs. 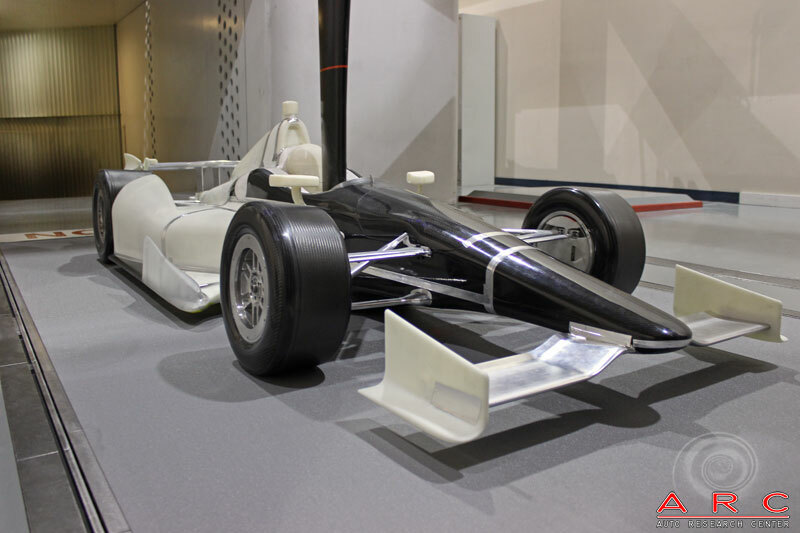 To have your vehicle built as a scale model or to use your styling clay model in the ARC wind tunnel, contact ARC today via email or by calling 317-291-8600. For more information on the ARC Model Making services, contact ARC today via email or by calling 317-291-8600. The process of installation a scale model is surprising complex and ARC technology and knowledge allows it to be done at a highly repeatable level, test to test. Using information from the customer, the scale model must be set at the correct baseline setup/inspection/curb right height, yaw angle and roll. All critical measurements must be taken at this baseline/inspection/curb, including the calibration of the lasers that will work with the ARC model motion system to pitch, roll and yaw the model. If the installation is done incorrectly, repeatability will never be possible. The ARC reverse engineering department, features a portable FARO CMM and Laser scanner. This portability allows it to be brought into the wind tunnel and scanning done on the spot. This helps to capture new designs at the inspection model setup height. 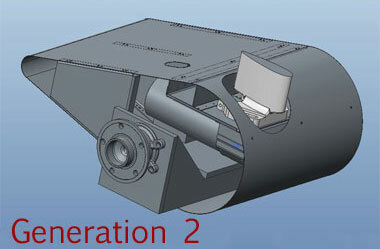 The scanned output, either an STL file or Nurbs, iges or step, surface can be brought directly into native CAD programs. For more information on the ARC Reverse Engineering department, visit the services page. 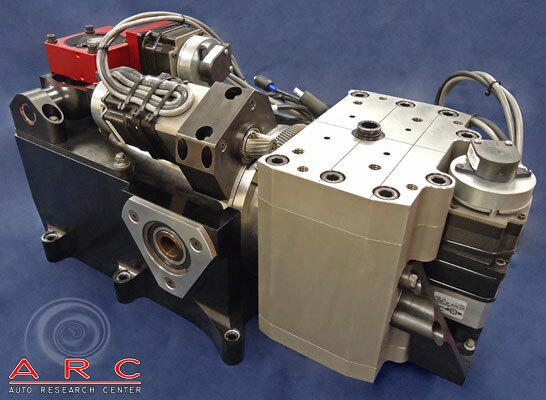 To use ARC Reverse Engineeering services, contact ARC today via email or by calling 317-291-8600. Ventilation drag or the aerodynamic torque generated by spinning of the wheels is a large part of vehicle aerodynamic losses, up to 40 counts of drag. This effect is not usually measured by any wind tunnel testing facilities. ARC is developing and building in-house a full scale wheel rig for use in its wind tunnel to help push the industry forward. This wheel rig will be available for public use when completed. Generation 1 testing on the rig has been completed and generation 2 development is currently underway. Long term development will include being able to mount an entire corner of a car onto the rig. For more information on the ARC Full Scale Wheel Rig, visit the product page. To sign up for future use, contact ARC today via email or by calling 317-291-8600. As the saying goes at Indianapolis Motor Speedway, speed is found inches from the wall, but as those who run there know, aerodynamics is the key to speed. The aerodynamics of a car close to a wall is drastically different from normal free stream running. The importance of wall simulation is not just limited to ovals, but anytime a car comes close to a wall, such as on turn in or exit of a street course. Understanding this phenomenon is crucial to creating useful lap simulations and for driving simulators. 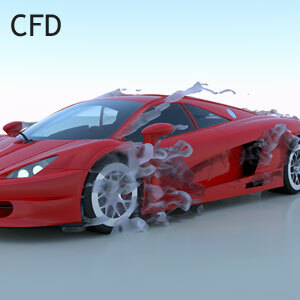 Currently the phenomenon is looked at exclusively through CFD, however, validation has proven difficult. ARC is investing in the capability to physically measure these effects in the ARC wind tunnel. A physical wall will be able to dynamically move, yaw and curve, yes, curve, from the wind tunnel control room and ensure the boundary layer will be correct. This will allow our customers to improve their correlation to simulation and track results. ARC will be the first commercially available facility in the world to offer this and is on track to be available for use later this year. *These models require special application for use.